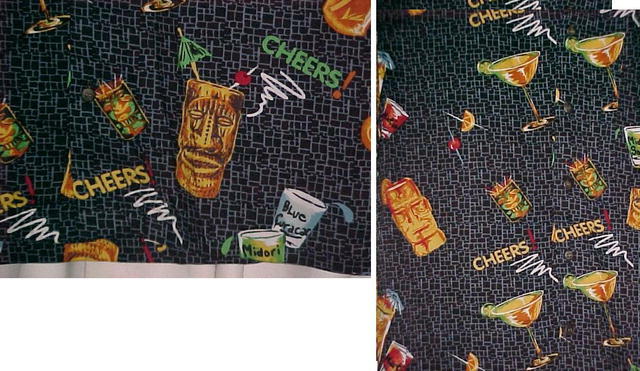 Tiki Bar Cocktail Shirt 100 % Rayon Size Med. Made by Utility shirt company. Has wood buttons. 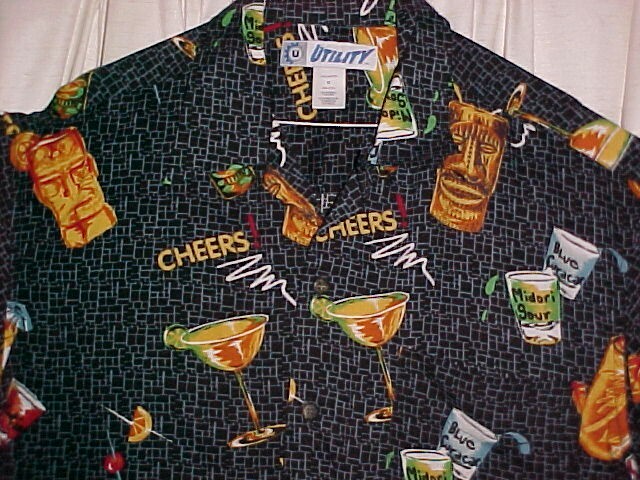 Fun shirt for Tiki Parties this summer. 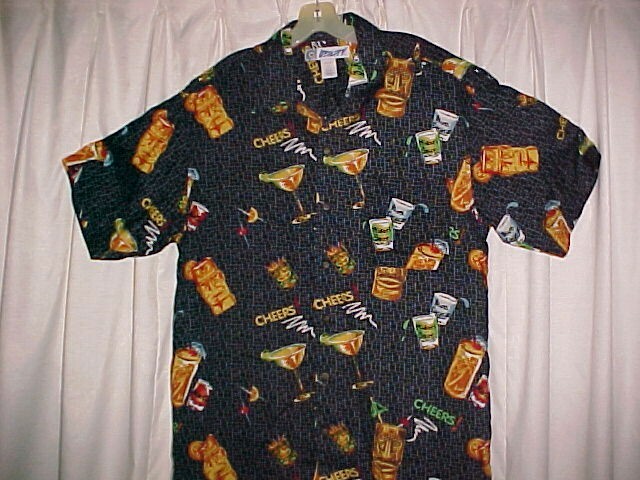 I have many other fun print shirts. Just type in "shirt" at the top in the search box. 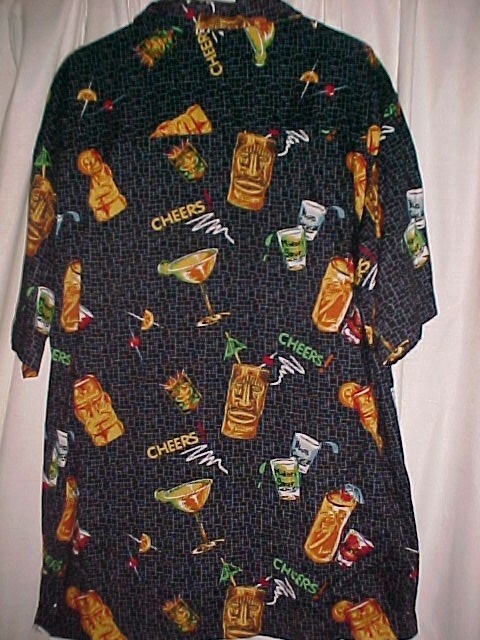 Items Similar To "Tiki Bar Cocktail Shirt 100 % Rayon Size Med *PRICE REDUCTION*"